Let’s face it – our dogs deserve the best we can offer. 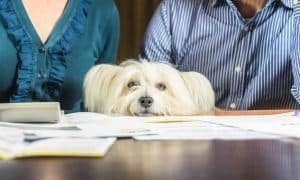 For those of us most committed to our pets, this simple premise often means changing how we do things – from organizing our home to designing our backyards. Backyard agility courses are some of the most fun you and your dog can have at home! 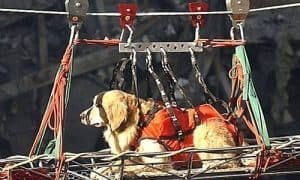 Not only are they safer than dog parks, they give your dogs an opportunity to explore new stimuli, solve problems, and get some beneficial exercise! There are many different ways to create an obstacle course, including picking up a backyard agility kit that includes all the basics or purchasing each of these items individually. But if you’re like many people, the cost to buy a slew of new equipment can be prohibitive. No worries, we’ve got some inexpensive ways to build your own ramps, jumps and weave poles! Standard jumps are a big part of agility and are perhaps the easiest obstacle to design and build. Start with two flower pots, bricks, or concrete blocks of equal height and place a long length of PVC pipe (or a broom handle) across the top of them. Start with a low height that your dog can easily jump over and increase as your dog becomes more confident and skilled. Tire jumps are another common element of agility and a great way to build confidence in your dog. To build a simple do-it-yourself tire jump at home, simply bury two 5’ long PVC pipes in the ground and attach a hula hoop using wire or zip-ties. Start with a large hoop hung very low to the ground, making it easiest (and less intimidating) for beginner pups. 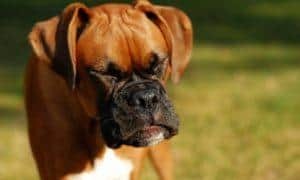 As your dog’s confidence and skill level grows, decrease the size of the hoop and raise it farther from the ground to increase difficulty levels. Many dogs will be hesitant to jump through a hoop, so be sure to have plenty of tasty dog treats on hand to lure them through. And, reward handsomely when they succeed. Tunnels are another easy to build element because you can use almost anything at your disposal to build one. A bed sheet draped over a folding table can make a great starter tunnel for beginners. 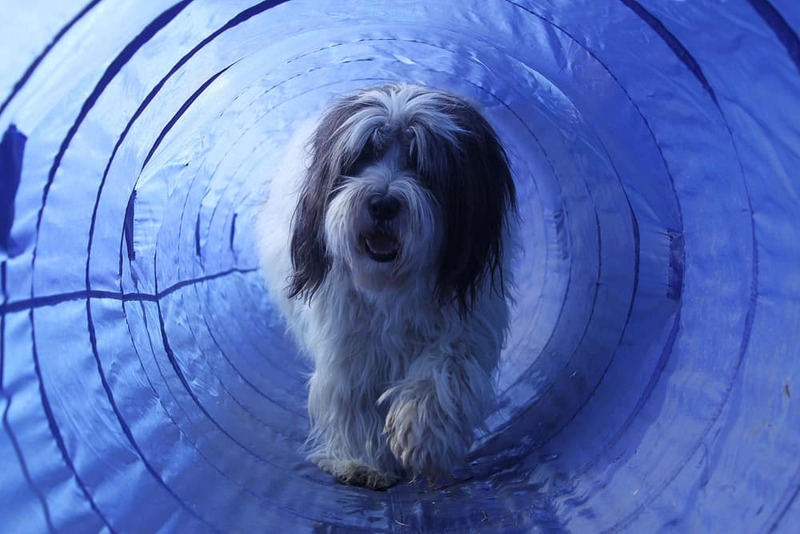 The larger the tunnel, the more successful your pet will be at entering. In the beginning, make your tunnel short enough that your dog feels comfortable passing all the way through, and reward handsomely with praise and treats at each success. As your pets grow more confident with the concept of passing through tunnels, a wide variety of inexpensive agility tunnels are available. Weave poles can be easily be built by burying sections of PVC pipe (or you can use bamboo for a more environmentally-friendly approach) in the ground. Or, for indoors or on patios, small orange cones will do the trick. 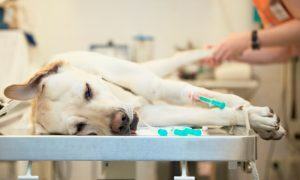 Start with six poles and increase that number as your dogs become more accustomed to weaving in and out of them. The distance between poles should range from 19″ to 24″ – we recommend you start with 24” to begin. An easy way to get your dog started in weaving is to lure him through the poles using a high value treat reward – and lots of praise, of course! 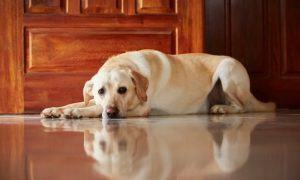 Dog Walk Planks: It’s easy to build your own backyard dog walk planks using simple wooden boards. Walking the planks are one of the more challenging requirements in agility, so don’t hesitate to begin with 12” wide boards placed directly on the ground or raised only a few inches until your dog gets the hang of walking across them. Wooden planks should be sanded (to prevent splinters) and painted (to make them more visible to your dog, we suggest bright blue). Also, for beginners, you may consider applying a textured, non-slip material, like grip tape, to the boards, particularly when they are elevated and ramps are added. You can use a wide variety of materials to build a base for your planks, just be sure it is solid, sturdy, and can hold at least twice your dog’s weight without moving, bending, or wobbling. As your dog’s confidence grows, make the planks narrower until your dog can successfully walk across a 6” wide plank without hesitation. 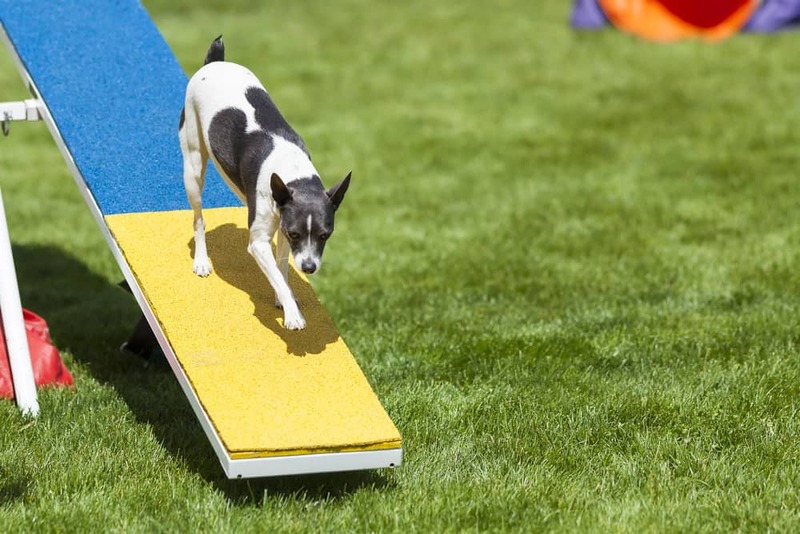 Teeterboard/Seesaw: Without a doubt, the teeterboard is the most difficult agility element for the majority of dogs to master. Beginners will definitely want to start with easier equipment and skills before moving on to the seesaw. While building a teeterboard is not difficult, it is a bit tricker – you’ll need to have a good understanding of fulcrum points and geometry to keep your pets safe. 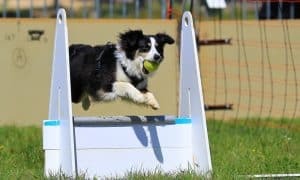 Building a backyard obstacle or agility course needn’t be expensive or time-consuming – there are lots of way you can keep your dogs active, increase confidence, and support their health with materials you can find around the house. 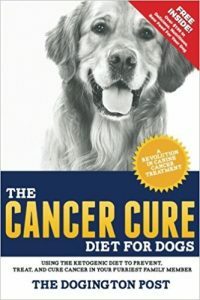 And remember, the most important part of all is your dog’s health, safety, and happiness. 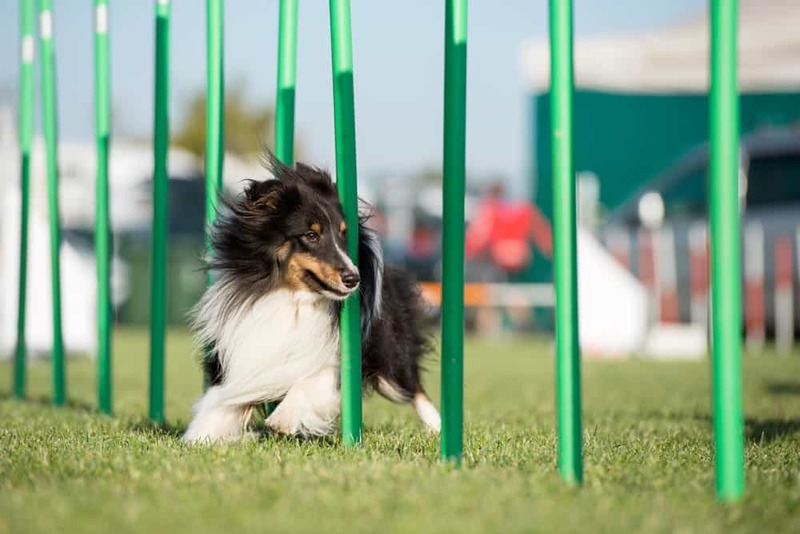 Does your dog enjoy agility, either competitively or just for fun? Please, share your tips and advice in a comment below!